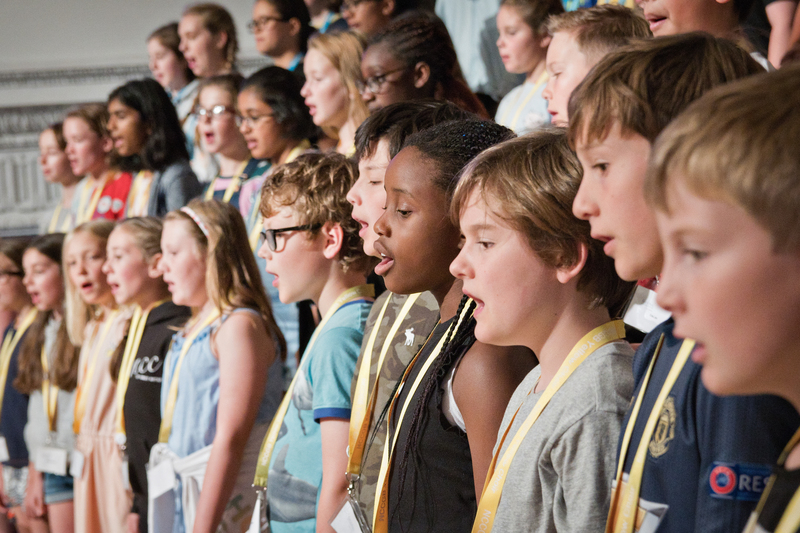 As with the other junior choirs of NCCGB, the Yellow Choir usually sings in SSA formation, but not exclusively so. 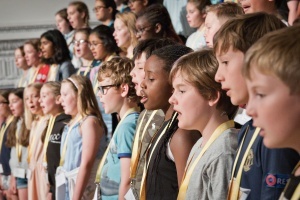 For many of the children, it is their first experience of choral singing and so a key part of rehearsals is introducing the choir to choral discipline; this encompasses correct posture, general behaviour, observing the conductor etc in addition to encouraging good vocal technique, voice production and blending within the choir. The music ranges from sacred to folk song arrangements to musical theatre – and everything else in between! 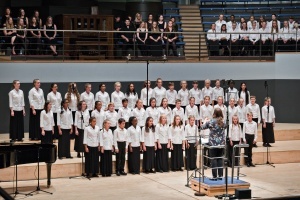 Their conductor, Rachel Smith, is an experienced teacher who also conducts the Devon County Choirs; she views the children’s choir experience as holistically as possible, not just as a musical entity. Together with her assistant conductor and pianist, she works to create the ‘Yellow Choir Family’ with the children. Working on a wide range of challenging repertoire, music for the Blue Choir is often in three or more parts and choir members are expected to sight read to a moderate level and pick up the music quickly. An extremely high level of choral discipline is expected from the choristers, who are developing a number of skills including team work, choral blend and musicianship. With an energetic and fun approach to music making, the Blue Choir is led by Suzzie Vango and Harriet Smith, who have extensive experience in working with young singers. 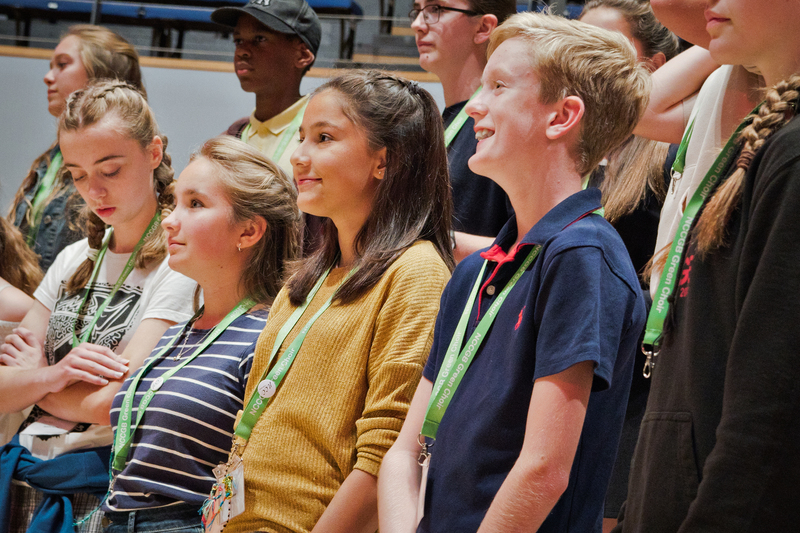 They focus on preparing the singers for the high demands of the Green Choir, and enjoy helping them to develop their vocal and choral skills whilst maintaining the level of excellence expected in all NCCGB choirs. The Green Choir offers a challenging programme of work for the most able members of the NCCGB Junior Choir. The members must have a good sight reading ability, a keen ear and a well developed sense of choral discipline. A high level of focus is needed in their rehearsals, during which emphasis is placed on retaining their vocal technique and posture in order that the voice is not harmed by physical lack of strength and stamina. An integral part of the choir’s training is discussion of the emotional content and the meaning of the words, in order to facilitate communication with the listener. It is also important that the members are able to work as a team, listening to each other and being aware of other parts, and the harmonic structure of the music. The pieces are often ‘a cappella’, and confidence is built as these are performed. 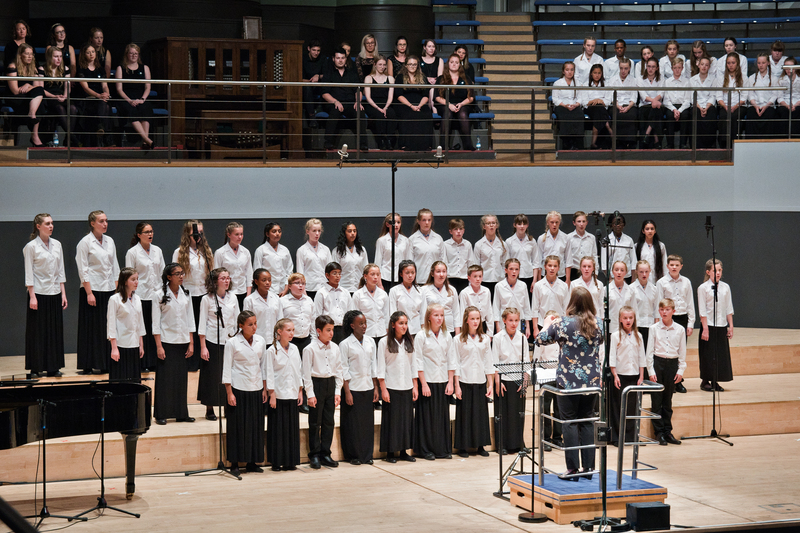 At times the Green and Senior Choirs perform together, and the tour choir is also built from these groups.